In this editorial, you will find a thorough manual on how to display Instagram plugin InstaShow on a Webflow site. We will work with a high-quality product, developed by Elfsight Team – a platform with ready-made modules for web resources. BONUS: Get the taste of the demo version right now! Accomplish several elementary steps, to show the gallery at the required pages of your website. Installation will take about 3 minutes. First of all, in order to work with the Elfsight online service, please, set up a profile. Use only existing email addresses and passwords to register. If you already have an Elfsight Apps profile, please, authorize here. Our web service has several plugins which will improve online businesses. 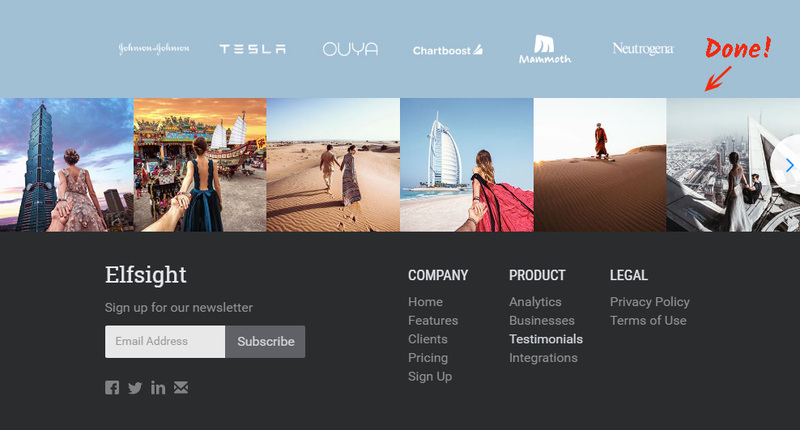 To build in an Instagram widget to a Webflow website, just pick out InstaShow. Decide on the gallery layout, styles and display settings to specify the plugin that will be most appropriate to your site. 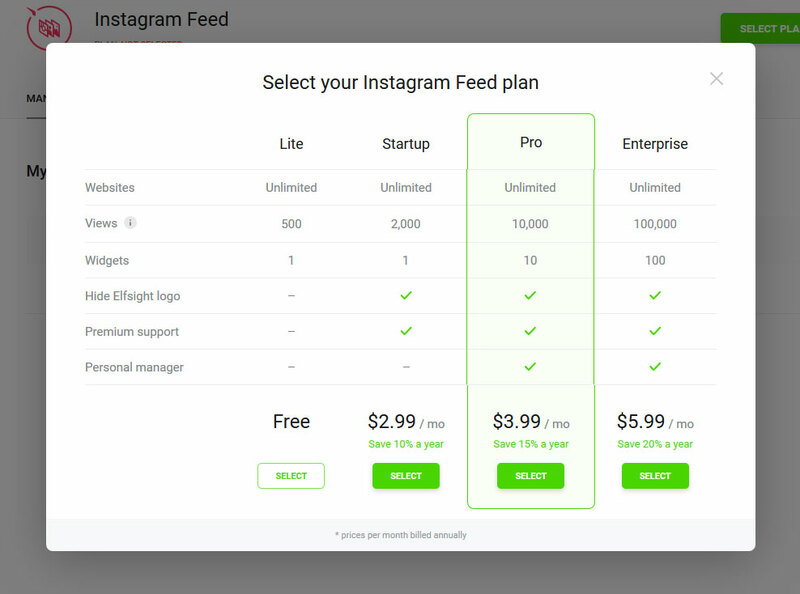 You can check out all the advantages at the Instagram plugin page. You need to choose the payment plan in the window that opens up. Payment plans range from free to advanced. Taking into account the traffic of your site’, choose your plan and click the “Select” button. The ending phase in the cloud-based service is to copy the product code by pressing “Get” button next to the app’s name. 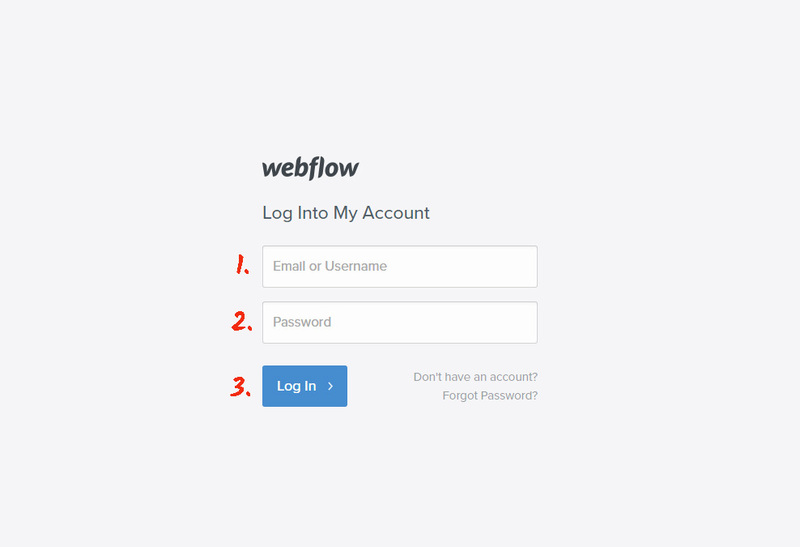 Login to WebFlow to edit the site. 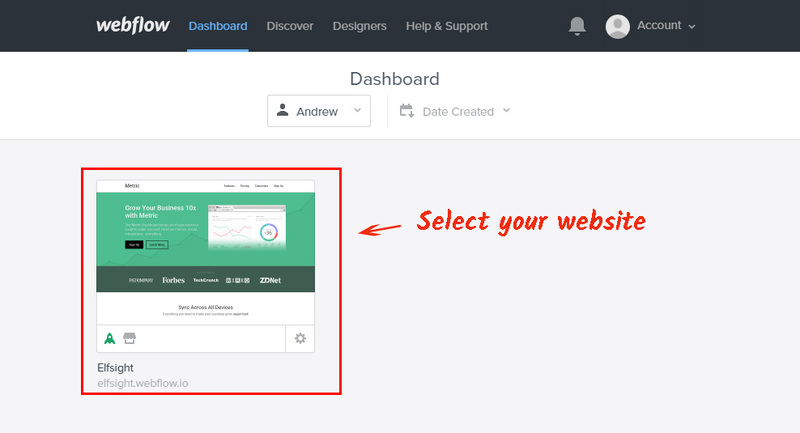 On the dashboard, choose the site to place the plugin to. Find the right place for the plugin and move the HTML element from the right-hand menu to that place. 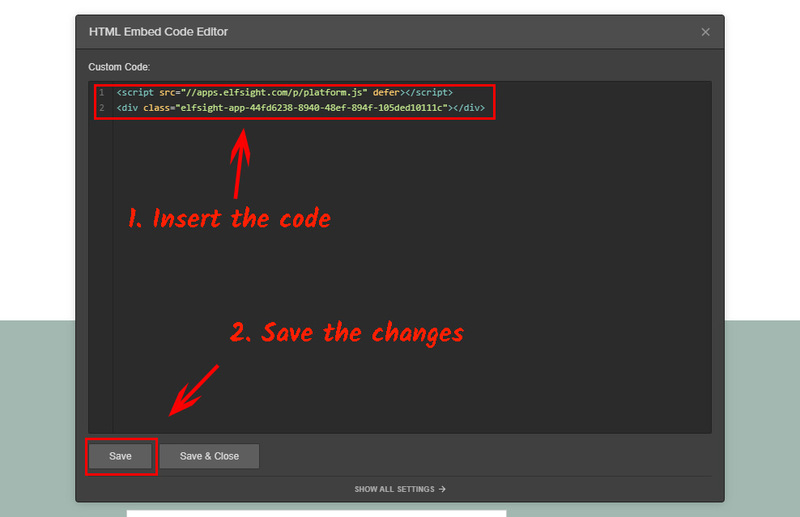 Paste the InstaShow script you’ve got at Elfsight Apps to the HTML editor window and save the changes. After you’ve made all the changes, press «Publish» in the upper menu to apply them to the website. Go to the webpage to check out the Instagram gallery. You can rearrange the feed’s settings or the added social profile in your profile at Elfsight Apps. After you put the corrections to use, they will be automatically implemented in your app. InstaShow is a multifunctional Instagram image gallery with lots of adjustments variants, photos controls, totally variable user interface and a easy installation, which makes our solution one of the finest among its competitors. It is a service with cloud solutions helping you improve your resource and make your business more profitable. Adding our plugins to any of your page only requires a couple of steps. It only takes a few stages to feature our plugins at any page. Make your resource better using Elfsight Apps! 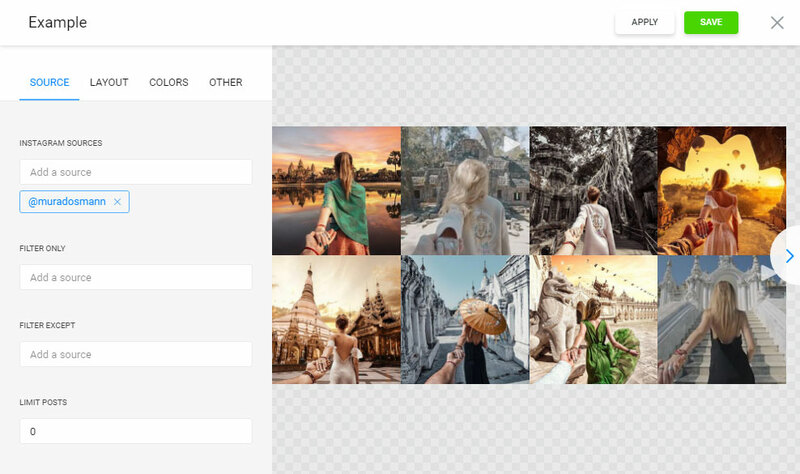 Check out the layout set up and shape the most striking Instagram gallery for your own website.